There is something to be said for holiday traditions, and this year's Easter certainly did not disappoint. Little Lewie started the day off at 6:40 a.m.; he crept in my bedroom to tell me he wasn't sure if the "bunny" came. He didn't see an Easter Basket and was wondering if it might be hidden on my mom's side of our duplex house. I reminded him that the bunny hides eggs, too, and if he found eggs on our side, then the Easter Basket would be on our side as well. To that, he went back downstairs in search of eggs, and when he found his first one, he woke me again to tell me that there were eggs after all. I woke myself up, promising I would return to bed after the hunt, which, of course, never happened. There was too much excitement between the eggs and the basket, and before I knew it, it was time for us to shower and get ready for church. Friends from work helped me with decorating Lewie's basket this year. The basket was hidden in the laundry basket this year with a blanket over it. After church, we had dinner at our usual Easter restaurant, which offers a terrific brunch. Whereas last year, it was just my mom, husband, Little Lewie, and me; this year, both of my mom's sisters were well enough to join us. It was nice to have the family altogether again, especially after one of my aunts had spent most of 2018 battling Ovarian Cancer. It was a blessing to have all of us at the table, looking well and HAPPY! My mom with Little Lewie. I love this picture. It captures Little Lewie's joy and laughter with his dad. My Aunty Kiki who was sick most of last year with bestie, Karen. They are both Cancer survivors. Again, when looking back at our Easter Celebration this year, I am grateful. There is nothing more wonderful than being able to spend cherished time with family. He thought about it for two seconds and replied, "Nope. I want to do it on the Grand Canyon." At that point, I gave up trying to convince him otherwise, and we became a team. Using our state's inter-library loan service, we were able to take out four books on the Grand Canyon (from multiple libraries), and we spent our weeks reading them. Each book, it seemed, focused on a different topic. One spoke more about the history of the rock layers, another about the wildlife, and still another about human civilization. Even though we went there in 2017, we quickly discovered there was still so much to learn! For me, the biggest takeaways were about the rock layers and the history of the park. The rock layers at the bottom of the canyon are close to two billion years old. There's evidence through fossils that the canyon was covered by water several times. Humans didn't start living in the canyon until 12,000 years ago. There are pictographs in several areas, which demonstrate this fact. We even saw them on our trip years ago. In 1919, President Woodrow Wilson made the Grand Canyon into the Nation's Fifteenth National Park. (This is after President Theodore Roosevelt made it a National Monument in 1908.) The canyon had to be protected as sites were getting ruined by excavating and mining. Still others, like the Fred Harvey Company, were purchasing land to be used for tourism. If the Canyon didn't become a park, it ran the risk of getting bought up by people in the mining and tourist industries. Hubby getting too close to the edge! As usual, I thoroughly enjoyed working on this project with Little Lewie, and in the end, he was right. The Grand Canyon was perfect for the Geography Fair. His passion must have came out because Little Lewie won the Teacher's Choice Award for Forth Grade. (There was a winner in each grade.) Lewie was so excited that he stood on stage speaking to the teachers for a minute. One of my parent friends joked with me: "I thought he was going to give an acceptance speech." There's no doubt Lewie's award made me a proud mama. I'm glad our first National Park trip inspired such an interest in nature, preservation, and wildlife. This project only motivates me to plan more of these trips. Yellowstone, here we come (in June)! It's interesting. Age ten seems to be a monumental year. Sure it's monumental in the fact that Lewie is now, officially, two decades old, but it also seems to be a year of pretty significant transition. His personality is getting stronger, his sense of what he likes and dislikes is increasing, and he's becoming more vocal (even testing the waters a little as to what I will allow and not allow). Finally, he's hungry...like all the time. This kid's appetite is enormous, and while he hasn't seemed to have that famous "growth spurt" yet, he's showing all the signs. He eats all the time, sleeps a little longer, and complains of his legs/hips hurting him at night and in the morning. As I just mentioned, Little Lewie is complaining of growing pains (mostly in the morning when he wakes up.) I told him that sometimes "growing pains" are linked to a growth spurt, which made him spend the rest of that morning/day measuring himself. He stood next to a mirror in our downstairs bathroom and said, "You're right. I do feel taller. I see more of myself in this mirror." Too funny! 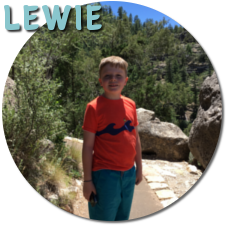 During the last week of February, Lewie joined his school's 5K Running Club. The goal of the club, if it isn't apparent, is to teach the children how to run and prepare for a 5K race that happens every spring (usually the first weekend of May) in our town. When the signup sheet came home, I ignored it for a day. Shame of me, but I automatically assumed my very nonathletic kid wouldn't be interested in running. Thankfully, before I tossed the sheet out, I asked him. "Yes, I do want to sign up, Mommy. They only allow 30 kids, so I hope it's not too late." I was surprised (and disappointed with myself). I filled out the sheet, and luckily Lewie made the cut-off. He's been excited about all his Running Club meets (Tuesdays and Thursdays) ever since, and he's been learning a lot of valuable tips. He has a really fun teacher, which adds to the enjoyment. She created a handmade postcard for each child in Running Club with a message of encouragement. Even though Lewie is in 4th grade, most of the books he's been reading focus on topics in middle school. He came home with Chmakova's first book, Awkward, and insisted he was in love with reading. When I first saw that it's written as a comic book, I frowned. To me, this wasn't going to be a stellar replacement for his cherished Magic Tree House collection. Still, as we read it, I soon discovered that her characters are brilliantly entertaining, funny, and charming. Not only do her books bring up important (and delicate) middle school topics, but the illustrations and dialog provide an engaging way to encourage reading, promote understanding, and teach emotional intelligence. 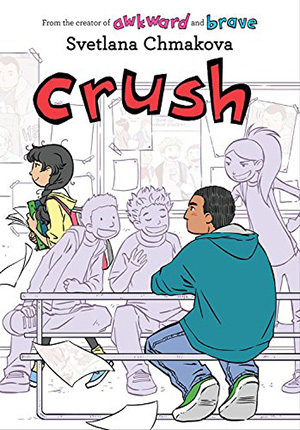 Lewie has read all three of Chmakova's Berrybrook Middle School books this year--Awkward, Brave, and Crush. Courtesy of Svetlana Chmakova's website. Little Lewie and his friend have a favorite music video called "Crab Rave" by Noisestorm. I have to admit that the music is catchy. However, the video is downright hilarious. It's exactly what you would picture a crab rave to be...well that is, if you picture a whole bunch of crabs dancing on the beach while busting some pretty cool moves. Oh yes, and in true rave fashion, the dancing in the video goes on from sun up to sun down. I'm listening to it right now, and there is a part of me that wants to get up and dance. It must be the ten year-old in me. My husband's humor is rubbing off on Lewie. The two of them can tell fart jokes all day long, and recently, they spend anywhere from ten to fifteen minutes a day making jokes about Uranus. "There's a laser shooting out of Uranus." "Oh no! Uranus is exploding." "Did you know 63 Earths can fit inside Uranus." Oh, I can keep going, but now I would be tormenting you, much like how I feel when the Uranus comedy hour begins. To see my son's life as a ten year-old today brings me joy. His life is about running club, swimming, jokes, middle school comics, "supervised" YouTube videos, Cub Scouts, and Xbox. I'll take it. It's actually pretty fun. Just maybe, I wish I was his age again. I know the adolescent years are right around the corner, so for now, I'll just bask in the uncomplicated world of TEN. Oh What Fun it is to Snow Tube! This winter, we've been waiting patiently for snow--the soft fluffy kind that's good for sledding or even the mildly wet and sticky kind that's good for making snowmen and snowballs. Unfortunately, neither came our way. Instead, the last four storms have been a combination of rain, ice, and sleet. It's given us some delays and even one snow day, but it hasn't yielded much in terms of being able to play outdoors and have the usual winter fun. After our two hour snow tubing excursion, we decided to drive to the Barrington Brewery and Restaurant, which is known for its solar-brewed beer. We'd never been, but we soon learned that it's super rustic and charming. Hubby had to try their beer while the two kiddos and me had brownie sundaes. (Chocolate is my weakness.) I think this restaurant will be now be part of our annual tradition, too. Even if the fluffy snow still doesn't come our way, I'm grateful we were able to have this one day of winter fun. It's hard to appreciate winter when all it yields is an icy mess. Thank goodness for places like Ski Butternut. Now, no matter what, we can say we're ready for spring. Happy RAK (Random Acts of Kindness) Day!! Today's my favorite holiday, and yet, not many people know about it. 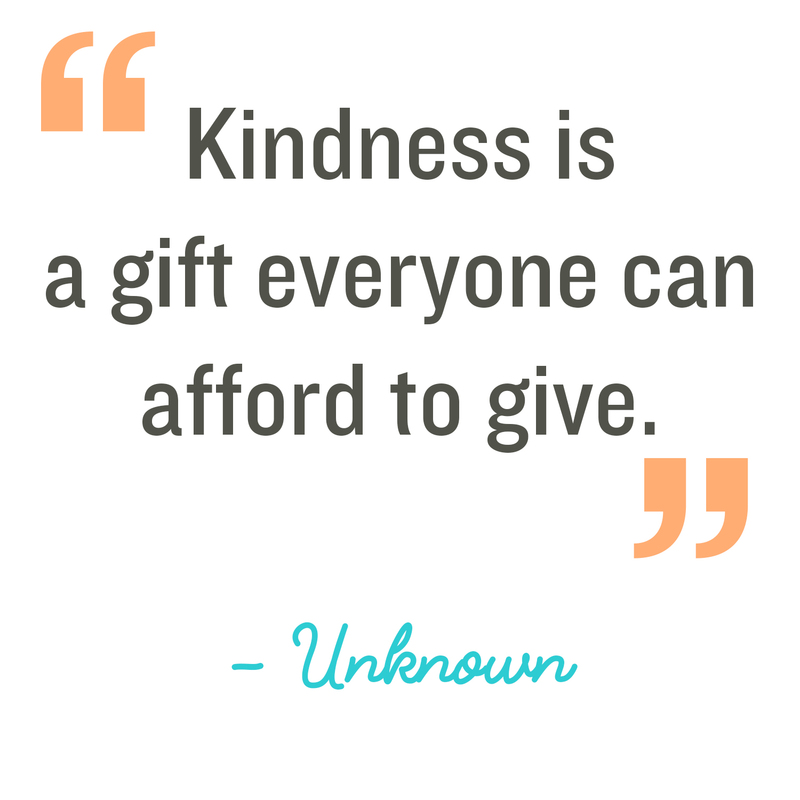 Today is a national day to celebrate kindness, but even more, it's a day to promote random kindness--meaning unplanned kindness to everyone and anyone. 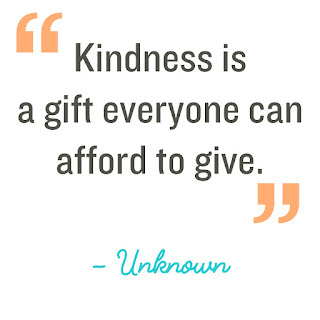 This quote comes from the Random Acts of Kindness Foundation. I started celebrating this day/week when Lewie was just four years old. We'd bake cookies, write cards, and create little "surprise" care packages for our friends and family. The fun of it, as he soon learned, was the element of surprise. Giving from the heart feels good, but it feels even better when you surprise someone with no expectation to receive anything in return. This year, I gathered up my surprise gift boxes, and we (Lewie and I) started delivering them on Friday. Since everyone lives at a distance, it's hard to do the surprise visits all in one day, so instead, it's been a weekend of giving. Thankfully, I have President's Day off tomorrow, so I'll be able to finish my mission then. Little Lewie's used to the routine; he knew exactly who we would be visiting this year. Still, RAK week is not just for celebrating the ones we love and cherish. It's also about doing favors for those around us whether it's holding a door, buying someone a cup of coffee, sharing a smile, offering to carry a heavy bag, etc. We intentionally do these small gestures today with the hope that they become an everyday habit. My goal is not to raise the smartest, richest, or most successful kid; my goal is to raise a thoughtful human being who is kind, gentle, and confident. This year, as I started looking up Random Acts of Kindness for kids, I uncovered this amazing website/business called The Idea Box Kids (http://theideaboxkids.com/). 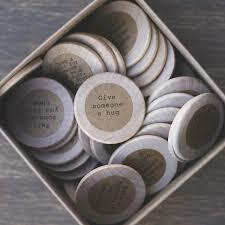 An idea box is "a little box filled with wood coins" that provide inspirational ideas for kids. (I wish I knew about this when Lewie was younger.) 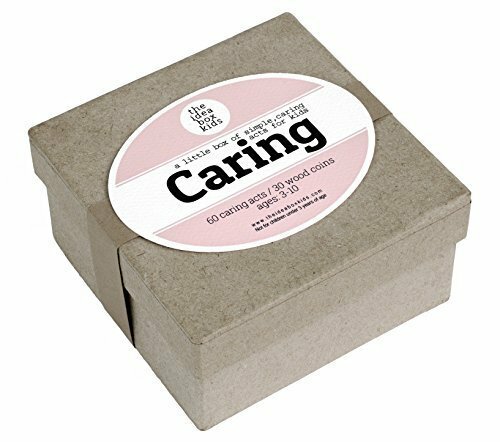 Still, I came across their "Caring" box, which provides simple ideas/acts on how to display kindness, such as "Tell someone you love them," "Be patient today," "Pull some weeds or water plants," "Put a note or picture on someone's pillow before bed," etc. Even though the box is meant for children, I bought it for the entire family. From now until the end of the month, all of us will be selecting a coin or two and doing "a caring act." In fact, I hope to pull out this box anytime we may need a reminder on how we can touch people's lives and create a culture of altruism. This image comes from http://theideaboxkids.com/teaching-empathy-kids-acts-of-kindness/. I'm using photos right from the Idea Box Kids website because they so beautifully share their craftsmanship. (Their photos are way better than mine.) I highly encourage anyone with children to look at their array of boxes. I bought others for Lewie that I hope to open during the summer, with coins on "Adventure" and essential "Life Skills." For now, the biggest life skill I can wish for Lewie is how to be kind to people--even when people are not kind back or do not share our same values. In some ways, it might be one of the hardest lessons for us to learn, and yet, it could inspire a movement that changes our lives and the world. Bronchitis and some sort of super head cold has struck our house. It all started with my husband. Nearly a week into the New Year, he started coughing and learned early on that he had developed bronchitis. A week later, I had a scratchy sore throat with head congestion. Each day the symptoms of my head cold became more pronounced--achy eyes, throbbing head, raw nose (from blowing too much), and sheer exhaustion. Today, six weeks later, I'm still suffering with a less acute version of it. My husband is still coughing, and now, it appears, it's Little Lewie's turn. Yesterday he started coughing, and today he's feeling tired. Oh no!!! This super cold has made it so that we're not doing very much at all. We trek back and forth between home, school, and work. We've managed to fit in a few swim lessons and Cub Scout meets (that is, in-between napping and lying on the couch with a box of tissues). And finally, last week, I had enough energy to put away all my Christmas decorations and replace them with my Valentine's Day stuff. Yes, when we're not feeling well, I can only celebrate the little stuff. There's simply not enough energy to do anything more. Here is a list of our February happenings, especially those that are planned (fingers crossed). Random Acts of Kindness Day lands on a Sunday, February 17th this year. In the past, I've celebrated the day/week by baking cookies with Lewie and putting together treat bags for some of my closest friends. Little Lewie would then help me deliver them. This year I may change things up a little. If I'm still not over my cold, baking cookies might not be such a great idea, but I'll find another way to surprise my friends and the important people in my life. In fact, I started a little early this year. I've already sent a few care packages to my friends that live the furthest--Alma in Spain and Mary Ann in New Jersey. It's a long story, but let's just say that I met both of them while I was in college--Alma during my first study abroad trip and Mary Ann in our college marching band. I adore both of them! This was Little Lewie helping me bake Valentine's Day cookies during our first RAK celebration. On February 22, we will be watching our oldest Webelos cross over. During the ceremony, the Cub Scouts cross over a ceremonial "bridge" and choose one of two paths. They either choose to go on to Boy Scouts (the troop waits for them at the end of the bridge), or they choose to end their Scout adventure, in which case, their parent/s receive them at the end of the bridge. 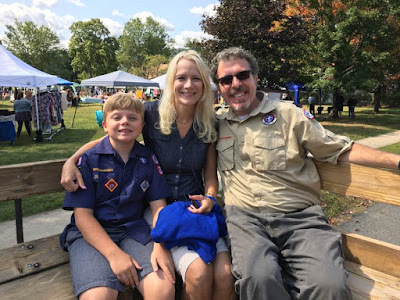 This particular Webelos ceremony will be bittersweet for me. Thankfully, Lewie is not old enough to cross over to Boy Scouts yet. He still has one more full year, and I've already made a pact with myself that I will do my best to make it the best year ever. However, it will be sad to watch our current Cub Master and our Pack Committe Chair leave with their den of eight boys. We started our Cub Scout journey with them, and they've been the ones to do and teach us everything. Without their encouragement, I would have never envisioned myself to be a leader, and I most certainly wouldn't see myself in the position to become the new Pack Committee Chair. Their dedication has been amazing, and they are the reason the Pack still exists in our town. 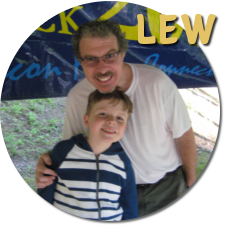 Lewie will miss having pack meetings with those eight boys--only two of them will be going on to Boy Scouts. It is the end of an era. We have one more year of Cub Scouts!! There's not much to do when you're feeling tired and sickly. On those days/weekends where it takes every ounce of energy to peel ourselves off the couch, we've decided to laugh our way back to health. My husband and I started to look up our favorite comedians on Netflix and Amazon, and we got hooked. In fact, Little Lewie (now ten) has been able to join the fun, and he's become a huge fan of stand-up comedy. Admittedly, some jokes go over his head, but there are lots of "clean" comedians out there that are very family friendly. Our all-time favorite is Jim Gaffigan, but we also like Brian Regan, Demetri Martin, and Kevin James, to name a few. 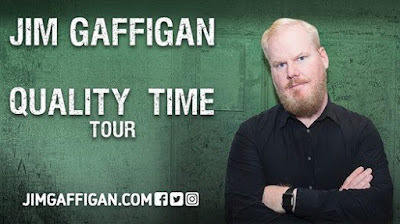 So, to come back full circle, I suppose if we didn't get sick, we wouldn't have spent as much time watching TV, which is to say, we wouldn't have gotten reconnected with Jim Gaffigan, which means we wouldn't have been looking for tickets to see him. So, as much as I don't like being tired and having a pounding headache, it was meant for me/us to get sick. I just hope I'll be feeling better for the actual show. I'm stocked up on my Vitamin C, zinc, and echinacea tea. I've been blogging awhile. Recent topics include vacations, family outings, Cub Scouts, holidays, and of course, my son and his antics. Like so many people I know, I post about real life but with a utopian, slightly more idealistic, twist. "Keeping up with the Joneses" is an expression I grew up with; it meant trying to keep up with the appearances, which is to say the money, prestige, house, yard, and life, of our neighbor/s. Now-a-days "the Joneses" are not necessarily our neighbors. They are the people we find on social media, too. I am no longer just comparing myself to the woman down the street, I'm also comparing myself to the mother in Texas that's amazing at home decor, the woman in North Dakota that's a fabulous chef, or even some of my long lost friends and acquaintances on Facebook that seem to have the perfect family life; their kids are Olympic gymnasts, astrophysicists, and social entrepreneurs at the age of twelve. The constant comparing has become draining and so has keeping up with my illusory posts. The reality is that we do go on some amazing trips, and we do try to bring a taste of adventure into our otherwise ordinary, mundane lives. But, my life isn't perfect. To try and find adventure means to let other things go by the wayside. My house is cluttered, my cooking is nill--relying on take out or pre-packaged meals, and on most days, when I have to wake up at five in the morning to plan and get ready for the day, I find myself on the couch by 8 p.m. in a vegetative state, which can only be compared to a coma, unless I'm full out sleeping (even when my son may not have had supper yet). My home office...just keepin' it real. I recently ran into an article called "How Millennials Became the Burnout Generation" by Anne Helen Peterson. Now, to be clear, I am not a Millenial. At age 43, I am a "Generation Xer," but I'm only about five years older that the first of the Millennials. The article resonated with me because I am, essentially, "burned-out." I could go into all the details and all the "ah ha" moments Peterson provides because there are many of them, but I would be doing a disservice to the article itself, because it is, in my mind, a masterpiece, which fully illustrates how and why our lives, at this moment in time, have become so inexplicably complicated. It's absolutely worth a read--a "task" to place on top of everyone's "to-do list." As I read the article, two points stuck with me the most. First, Peterson coins a term that has now become part of my everyday vocabulary called "errand paralysis." She describes it as the inability to accomplish certain items on her to-do list because they "are seemingly high-effort, low reward tasks" that "paralyzed" her. The items would keep on "rolling over [from] one week to the next" causing ultimately a feeling of anxiety and shame. A light bulb went off. (In fact, I shared this part of the article with a few of my coworkers, and they nodded in agreement, too.) A big mental drain in my life stems from the feeling of unaccomplishment--a feeling of never being able to mark off all the items on my to-do list. The same "less important" items keep being pushed off, and they collect and fester. Instead of rewarding myself for what I did accomplish that week, month, year, I instead, zone in on what I didn't do, feeling ineffective and defeated. After I read this, I ended my personal shaming. You see, it's difficult for me to admit to the fact that my house is a mess most of the time; it's difficult for me to admit that I don't cook/prepare meals; it's difficult for me to admit that on many days during the workweek, I come home in an unconscious state, simply unable to make conversation or process things on my to-do list, like help Lewie with homework, go through mail, or even work on getting prepared for the next day. Sometime I nap first and get started on it around 8 or 9 p.m. Other times, I promise myself I'll wake up early in the morning to try and get it all done. Little Lewie has learned the routine by now: Mommy is energetic, fun, and emotionally available in the mornings. At night, well, you take what you can get. I'd like to change all this. For years, I've told myself that this will change someday. But, the reality is this: As long as I work full-time and come home at 6, 7, or 8 p.m. at night, I will be tired and pretty much unavailable. I've thought about changing careers, and once upon a time, I did stay home with Little Lewie, Once upon a time, I also worked part-time instead of full-time. The outcome, however, was almost the same. It wasn't just the job work but what Emma calls "the mental load" that makes me exhausted. Unless I chose not to be a Household Management Project Manager, I was still going to have this endless to-do list. Maybe with more time available, more items would get checked off the list, but then again, maybe I'd still be adding on more items now to compensate for the money I wasn't bringing home. 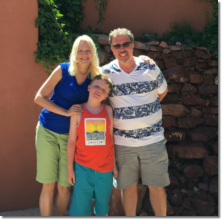 After all, money is what allows us to plan our great trips, to sign up Lewie for computer camp and outdoor adventures, and to, quite honestly, pay our bills without constant worry and anxiety--the reason why I went back to work full-time in the first place. For me, working full-time at a college also means that when Lewie turns 18, he should be able to attend tuition free. So, if some of my burnout didn't come from work, then, surely, it would come from worrying about how we would get ahead of the bills, the student loans, and the credit card debt. Either way, "the mental load" would remain. "How Millennials Became the Burnout Generation" ended up being a savior to my self-esteem. It made me realize that no matter how glamorous people's lives appear to be in blogs, Facebook, Instagram, and the like, it's really "make-believe." None of us are perfect 100% of the time, and most of us suffer from some type of "errand paralysis." We all have items on our to-do list that don't get checked off. The real answer is to not let those items get in the way of living life. At least for me, it's to not base my self-worth off of completing my next task. The non-stop items will always be there (unless I choose to live off the grid in some remote place undisturbed by society). So, the only thing that can change is my attitude. Do I blame myself every time I don't accomplish a task, or do I reward myself every time I do complete one? Do I go into resentment mode when I wake up to a messy house, or do I remind myself that the house is messy because we just had an eventful family weekend that took priority over our weekend errands. In the end, it's okay. Things will get done, and no one will ever remember what I accomplished. What they'll remember is the time I spent with them. Now, where's that to-do list? Errand 1: Stop Beating Myself Up. I haven't been the same since my beautiful little boy was born on Aug. 11, 2008. Before his arrival into this world, I was a driven, full-time college administrator and professor. My career was my life, but boy was I in for a rude awakening! If I thought I was crazy and disorganized before Little Lewie, then I now know that I have completely lost my mind. But, I should say that I lost it in a good way. While I recently started working full-time again, I live for scheduling play dates and reading advice columns about parenting. Every day, I appreciate my many blessings more and more, and now I simply can't imagine my life without my husband or my little guy. I LIVE for our weekends together and see everyday as a new adventure.